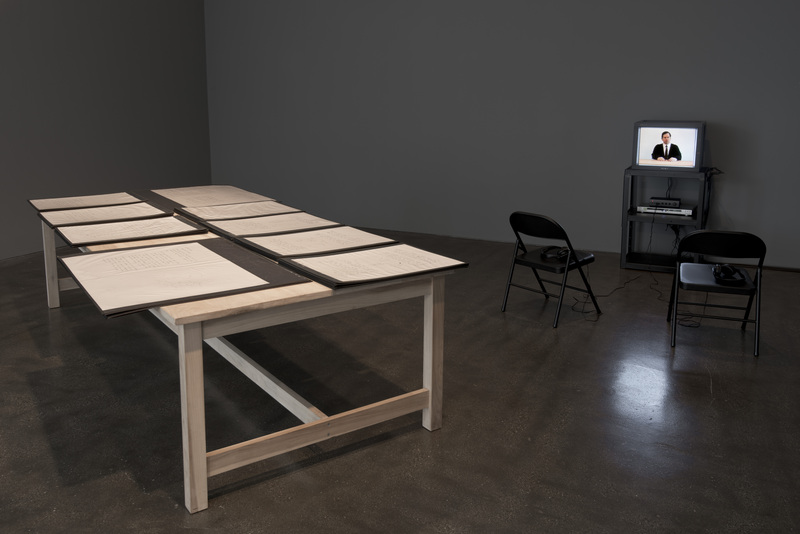 The Los Angeles–based artist Hirsch Perlman’s A Layman’s Practical Guide to Interrogation Techniques and Practices: 1st Draft (1993) suggests that the techniques by which interrogators extract information from their subjects are more artful than they are scientific. 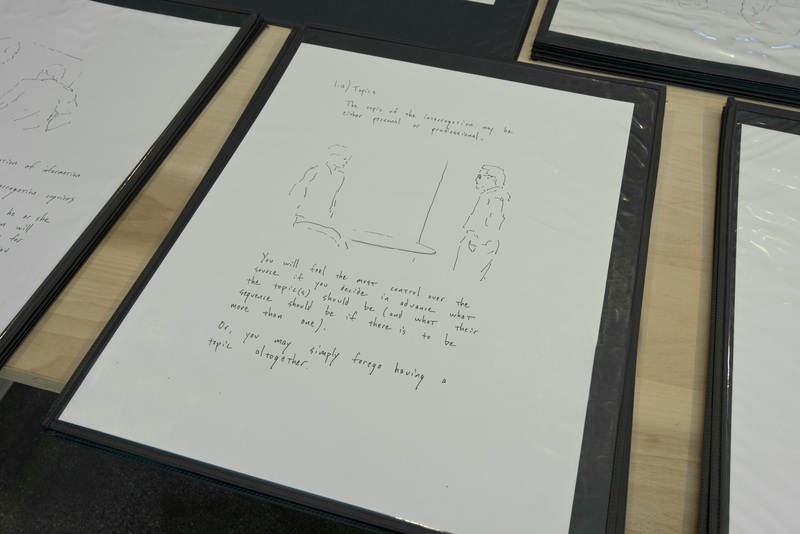 This formative work, consisting of forty-one handwritten texts and loose gestural sketches, is part of a series executed by Perlman over a three-year period. It offers various instructional and informational interrogation techniques, from the practical to the absurd, in order to underline the strategic uses of everyday communication in relationships of power and exercises in control. The collection of drawings amounts to an amateur manual for the standard procedures of interrogation, expanded upon in subsequent works by Perlman to show that practices of psychological manipulation are pervasive within the kinds of inane conversation and benign questioning that shape everyday social interactions.